Canada’s forest companies are scaling back their Canadian based mills—amid rising log costs and falling lumber prices—as capacity shifts to the US south; although Interfor says it’s shipping more lumber from Canada to China as a result of Chinese tariffs imposed on US producers. In related news: the competitiveness of the BC forest industry, and market and fibre challenges facing the sector over the next few years, were front and centre at the BC professional forester meetings last week. In other news, an update on: BC’s Professional Governance Act; Structurlam’s expanded mass timber operation; and Forest Ontario’s award winners. Elsewhere: why extreme cold is good for Alberta’s forests; and how forest fires are wrecking havoc in Australia and New Zealand. Finally, youth are the focus with: FPAC’s #TakeYourPlace campaign, the BC First Nations Forestry Council career fairs, and UBC’s Malcolm Knapp Research Forest outdoor classroom. The competitiveness of the BC forest industry, and market and fibre challenges facing the sector over the next few years, were front and centre in two of the ABCFP’s breakout sessions at their annual meeting in Kamloops last week. The first panel, “Healthy Forests Need a Competitive Forest Sector” was moderated by Interfor’s Brad Bennett. …John Allan, BC’s Deputy Minister of Forests, spoke of the government’s top priorities; the economy and reconciliation with First Nations. This includes actions leading to more meaningful participation by First Nations in the forest economy, and coastal and interior revitalization efforts. The second panel, moderated by Forsite’s Cam Brown, focused on one of the most important decision processes for industry and government—the Timber Supply Review (TSR) and the setting of the annual allowable cut. …On the separation of the establishment of an AAC from strategic forest management decisions, Diane Nicholls (BC’s Chief Forester) spoke of the importance of ensuring the AAC assumptions match forest practices on the ground; and where they diverge significantly, government’s ability to shorten the time frame between AAC reviews. Early drafts of the recently assented Professional Governance Act—established by the BC government to “ensure the public interest and the environment are pro­tected”—threatened to upset many of the pillars of professional regulators, according to the CEOs of the Association of BC Forest Professionals (Christine Gelowitz, RPF), Engineers and Geoscientists of BC (Ann English, P.Eng) and the College of Applied Biology (Christine Houghton). Speaking at the BC foresters AGM last week, the three CEOs spoke of the government’s rushed legislation, its lack of policy clarity, the cost implications, and future uncertainty given the broad discretion and far-reaching powers of the soon-to-be-established Office of the Superintendent. Also affected by the Act are the BC Institute of Agrologists and the Applied Science Technologists and Technicians of BC. …Notwithstanding the concerns, all three association CEOs spoke of the potential benefits, the importance of continual improvement, and the opportunity to raise awareness of how professionals protect the public’s interest. VANCOUVER — Interfor Corp. says the company has increased lumber shipments from Canada to China as a result of tariffs imposed on its U.S. production. “We’ve seen a marked increase in volume from Canada,” said Barton Bender, vice-president of sales at Interfor on an earnings conference call Friday. “We’re still active on some products in the South to China. We’ve tried to keep our shipments fairly consistent to that market. So the combination of the two, we think Canada is a net benefactor of those tariffs. And our volumes have shown so.” The increased shipments from Canada come after China imposed retaliatory tariffs of up to 25 per cent on some U.S. goods last year, as the world’s two biggest economies continue with tense trade talks. The ramp up in Canadian exports across the Pacific come despite shipping costs that are roughly 50 per cent higher than from the Southern U.S., Bender said. Amid record returns for forestry exporters, the sector in New Zealand is being warned to take notice of the global demand for logs is beginning to trend downwards. An increased market share for New Zealand’s exporters, against declining market share for both Canada and the United States, has bolstered the sector’s earnings: 2018 exports receipts were up by $684 million against 2017.ASB senior rural economist Nathan Penny said 2018 had been a “fantastic” year for the sector, 2019 had started where it left off and, in New Zealand dollar terms, the forestry index was at record levels. Port Otago is predicting the possibility of yet another record-setting year of log exports, or at least coming close to equalling last year’s record. However, Mr Penny questioned whether prices this year would continue at the same level as 2018. Looking through a catalogue of Penticton, B.C.-based Structurlam’s past projects is like flipping through an interior design magazine. Large, often curved glue-laminated (glulam) timbers grace stately interiors while the cross-laminated timber (CLT) panels blend in as floors, ceilings and walls. It’s easy to see why developers would choose wood as a naturally beautiful building material. …Structurlam’s current owners, the Kingfish Group, purchased the company in December 2018. Last fall they expanded once again, opening a third manufacturing facility a stone’s throw from the current one in Okanagan Falls. The new facility has the latest in CNC machining. …Around 225 people are employed at Structurlam’s four manufacturing facilities and the head office. Depending on what products are going through, the facilities will run 24/7, 365 days a year. From the outside, the construction project underway at 80 Atlantic Ave. in Liberty Village looks like your typical new office building. But peer through the large spaces where windows will soon be installed and you’ll notice that above the ground floor there is wood everywhere — walls, ceilings, support beams. Only the underground parking, ground floor and elevator core are concrete and steel. Designed by Toronto architectural firm Quadrangle, the soon to be completed five-storey office and retail project is a rarity in Toronto — most buildings in the city are still made entirely of concrete and steel. Like Sidewalk Labs’s proposal to build a high tech neighbourhood in Toronto, with thousands of condominium and apartment units built with timber, the subject of wood buildings is creating a buzz. 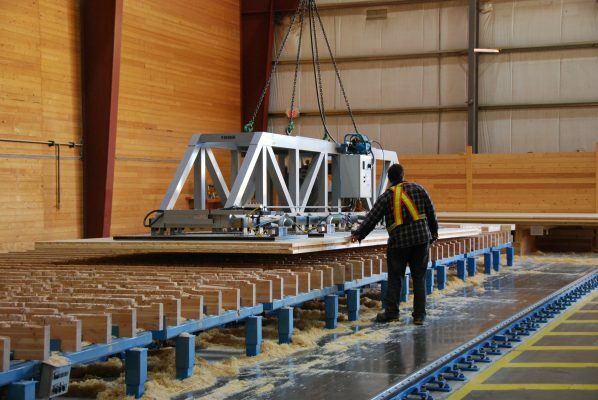 Canada already has the world’s tallest wooden building… and there are wood structures in Europe and the U.S.
ALLISTON, ON – Forests Ontario’s Annual Conference took place on February 8th at the Nottawasaga Inn in Alliston, Ontario. Ontario’s largest forestry conference, the event brought together more than 400 forestry enthusiasts from across the province for discussions and presentations under the theme of Natural Connections. The conference featured an awards ceremony recognizing groups and individuals that have made outstanding contributions to Ontario forestry. The Ontario Wood Award is presented to an individual or organization that has contributed to the positive promotion of the Ontario Wood brand. Ontario Wood – a Ministry of Natural Resources and Forestry program – encourages consumers to choose products made by local artisans using locally sourced wood. This year’s recipient was Sacha Gendron, in recognition for her efforts to promote the importance of local wood products, and their role in reducing waste and carbon sequestration. Petrochemical-based polystyrene foam is everywhere, and used for many different applications. 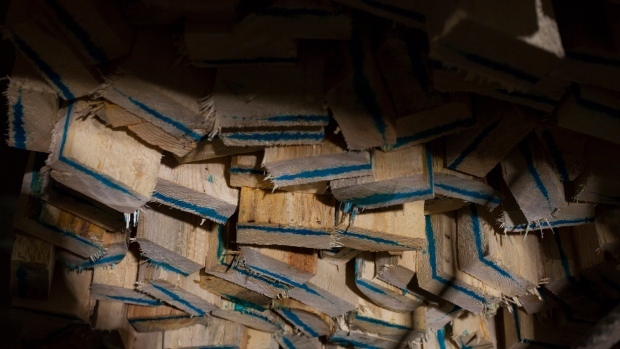 It’s hard to imagine something replacing it, but in the very near future we might see wood-based foam become the norm. 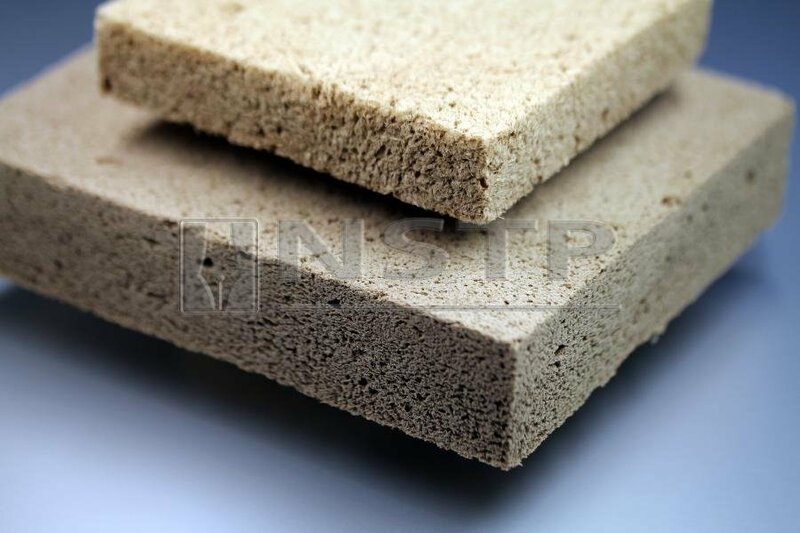 Environmentally-friendly, wood-based foam is poised to be used for many of the different applications that polystyrene-based foam is being used for, namely thermal insulation, sound absorption and packaging. Wood foam is very sustainable because it consists entirely of wood fibres, without any additives like resins, binders or glue involved. Its strength comes from the wood fibre’s own bonding forces. …It’s also a renewable resource. The wood used can come from anything from large trees to small-twigs. …Wood foam is being pioneered by Fraunhofer Institute for Wood Research in Braunschweig, Germany, which first came out with a product in 20014. It has survived fire and flood, but it’s the ravages of time that threaten to finally topple Victoria’s longest timber trestle rail bridge. “It’s now or never,” says May Leatch, one of the principal organisers of a campaign to save the historic 770-metre bridge that ushers travellers into Orbost, four-and-a-half hours’ drive east of Melbourne. “It’s reaching the point where if we don’t do something to preserve this structure it will soon be too late to save it.” In December, the campaign group Save the Snowy River Rail Bridge hung a huge banner from its upper planks, just in time for the annual influx of tourists drawn by the beaches and excellent fishing of nearby Marlo, where the Snowy meets the sea. The office they set up in a dilapidated storefront in the main street of town – its walls covered with photos, clippings and a mural painted by a local artist – has had plenty of visitors too. But much of the support has come from out-of-towners. If a tree falls in Cottonwood Lake forest many people will hear. So many people, in fact, that city council has stepped up with a letter of support for the Cottonwood Lake Preservation Society (CLPS) in their effort to save the favourite recreational area from logging. Last Monday city council approved… endorsement of a letter of support for the community initiative to preserve the forested land above Cottonwood. …The CLPS will be advocating to the various levels of government to encourage the establishment of regulations or standards that would not allow for the kind of “dangerous and irresponsible logging practices that are currently happening across B.C. on private land, including these parcels,” noted CLPS. New programs at UBC Malcolm Knapp Research Forest teaches children math, science and more. …“The goal of it is to provide applied learning experiences with real world applications that helps people build confidence and connections to the natural environment,” explained UBC’s Wild and Immersive education coordinator Victoria Farahbakhchian. …Other programs take place in the woods of the Malcolm Knapp Research Forest, like Logs to Logarithms, a math-based module that demonstrates real world applications of logarithms, trigonometry and geometry. …And it takes teachings from foresters that use math on a daily basis to calculate timber value, stand density, length of each soil horizon and so on,” she continued. And it’s not just math, continued Farahbakhchian, who has her Masters in Science, students also do tree identification, they learn about statistics and learn how to do a proper study. NORTH VANCOUVER, BC – The BC First Nations Forestry Council (FNFC) is organizing three career fair events, the 2019 BC Forestry Career Fairs, scheduled to be held in Nanaimo, Kamloops and North Vancouver. …The goal of these career fairs is to increase Indigenous awareness of forest sector opportunities, as well as increase Indigenous participation as part of the FNFC’s BC First Nations Forestry Workforce Strategy. …Currently, the Indigenous participation represents approximately 5% of the total workforce in BC’s forest industry. The goal of the Workforce Strategy is to double Indigenous employment in the BC forest sector by 2027. …”Jobs in the forest sector present opportunities for Indigenous people to stay and work near their communities. Training and education are key to increasing Indigenous access to high paying jobs in the forest sector,” says Charlene Higgins, FNFC’s Chief Executive Officer. I fully agree with fully reviewing our municipal forest operations toward potentially stopping forest-reserve logging. Failing that, part of our precious reserve could be selectively logged using horses and/or other low-impact methods pioneered by the late Merv Wilkinson of Cedar. In short, we could make North Cowichan a showcase for alternative, innovative logging methods and more. We would maintain some jobs and capture some the $759,000 timber-revenue loss projected this year by municipal treasurer Mark Frame. Indeed, those are taxpayers’ forests. Not everyone is unhappy with the extreme cold gripping the province. “There are some of us that are cheering,” said Janice Cooke, a professor at the University of Alberta. 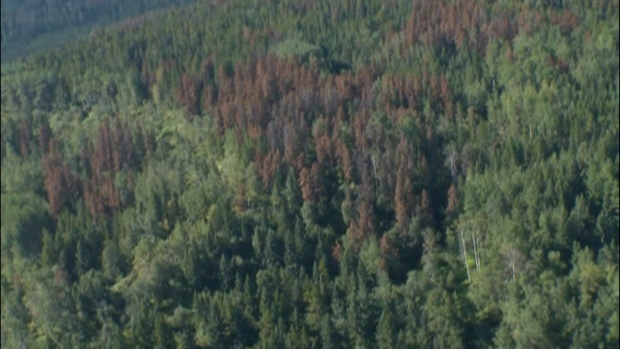 When the temperature drops low enough, as it has this past week, it can be deadly for the mountain pine beetle. “We’re actually talking about the larvae from these beetles. The beetles are flying in the summer; they mate, they lay eggs, those eggs hatch and then the larvae are growing all through the fall, so it’s the larvae that are sitting under the bark over wintering and getting ready to grow again in the spring, so that’s what we’re hoping that the cold will kill,” said Cooke. She said the larvae contain compounds that act as anti-freeze to help them survive the winter, but that compound becomes less effective as the temperature dips. B.C.’s forests watchdog has found the harvest practices of BC Timber Sales are meeting all legal requirements in the Naikoon area. Haida Gwaii’s Cloudberry Action Network filed the complaint with the Forest Practices Board (FPB) in October 2017, concerned of BCTS’s increased rate of harvesting western red and yellow cedar in the licence area. The file also asked the board to investigate whether the company’s practices overall were within the Haida Gwaii Lnd Use Objectives Order and whether they were meeting the intent of the 2010 ecosystem based management (EBM) plan. The FPB report on BCTS’s cedar stewardship, watershed-level hydrologic processes and landscape-level conservation of biodiversity found all planning and practices were compliant with the order and the EBM outlined within it. Using herbicides in agriculture as well as forestry has often been controversial. In a recent B.C. government press release, the spraying of forests to control deciduous plants that interfere with conifers was reduced from 16,000 hectares to 10,000. Concerns over the impacts on wildlife was the main reason cited particularly relative to ongoing declines in moose populations. The complete elimination of herbicides may be a problem for some forest companies who are required to meet a minimum stocking of conifers as prescribed by government regulations. Some silviculture research specialists have been looking at the stocking standards that deal with the level of deciduous plants and the associated free growing levels of conifers so that the forest companies can meet their commitments. Ongoing research is showing that using herbicides may not be achieving the intended results and collateral damage may often create many negative consequences. Letter by John D. Jacobs, PhD. & Ian Goudie, PhD. ST. JOHN’S, N.L. — Will the Northern Peninsula profit from area sawlogs? (The Telegram, Jan. 31)? Not with this plan. In 2017, the provincial government announced that AEG Ltd and its local subsidiary are to receive a large share of the Districts 17 and 18 wood allocation for wide-ranging “commercial possibilities,” including “production of biomass products utilizing forestry waste”. In response, we wrote a letter to The Telegram (June 8, 2017), criticizing the proposed development on the grounds that the slow-growing forest of the Northern Peninsula could not possibly provide the required amount of “forestry waste” and that, ultimately, the project would lead to standing trees being clear-cut solely for production of wood pellets. 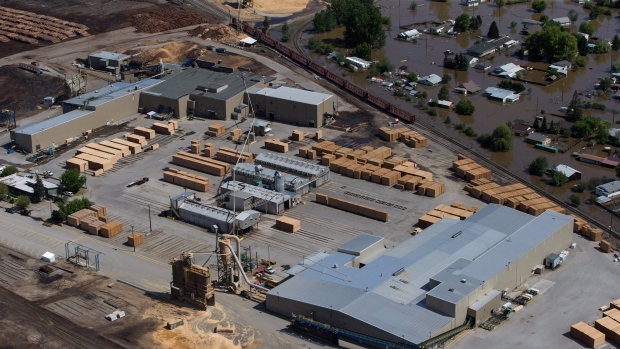 Now government has reportedly stipulated that 25 per cent of the permit volume that is of sawlog-quality is to be made available to local sawmill operators. The remaining 75 per cent may be used in the proposed pellet plant. 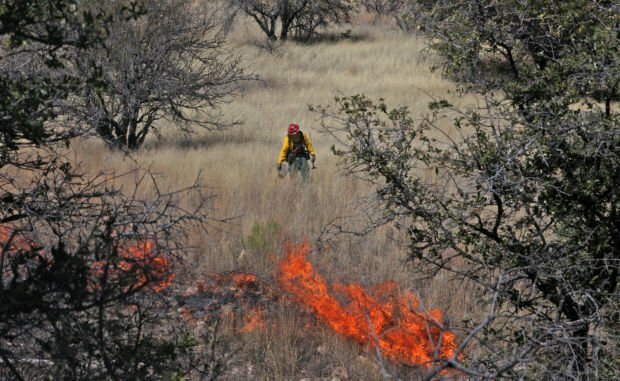 A massive prescribed burn in Southeastern Arizona — torching 35,000 acres in stages beginning at the end of February — is planned by the Arizona Department of Forestry and Fire Management. The agency, noting that the so-named 47 Ranch Rx Burn is needed to reduce fuels and the threat of wildfires, has scheduled a community meeting Tuesday, Feb. 12, at the Elfrida Community Center in the town northwest of Douglas. …A first stage of the burn, covering about 2,200 acres, is scheduled to begin near the end of this month if weather conditions are favorable, said Tiffany Davila, spokeswoman for the Department of Forestry. The smoke we inhaled in Seattle from the region’s burning forests last summer literally brought home the problem of wildfires. Not only can such fires damage property, the climate and the economy, they also pose danger to life, health and general welfare. The fires are a major producer of carbon pollution, second only to transportation in this state. In 2018, the state Department of Natural Resources responded to more than 1,850 wildfires, a record high. Across Washington, 440,000 acres burned. …I got an outline of how the strategy for preventing fires and building housing could work as I bounced up a rough dirt road with Public Lands Commissioner Hilary Franz, who leads the DNR. 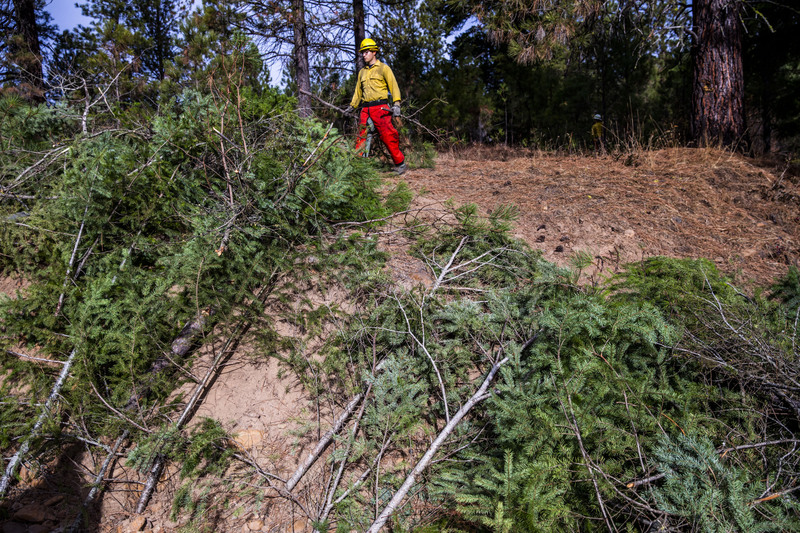 …Thinning these woods could help reduce the odds of fire or its intensity. But what do you do with dead or dying timber that’s too small for milling into traditional lumber? Franz advocates creating a market for it. Every American chestnut tree from Alabama to Maine will eventually succumb to blight. “It’s just a matter of when,” said Larry Grossman, president of the Maryland chapter of the American Chestnut Foundation. But after decades of work to improve the trees’ resistance to a deadly fungus, Grossman’s group is getting closer to reversing that outcome in Maryland. Armed with shovels and gardening gloves, about 30 volunteers with the American Chestnut Foundation planted 4,000 chestnut seeds Saturday in the warmth of a greenhouse at the Center for Maryland Agriculture and Farm Park in Cockeysville. The foundation will study the saplings that sprout to pinpoint trees that are the most genetically resistant to the fungus. They ultimately hope their research will help restore wild chestnut trees in Maryland and beyond. How do you put a dollar value on town-owned forest land? A massive bushfire has churned through more than 5,600 acres on New Zealand’s South Island in what is believed to be the country’s worst forest firesince 1955, BBC reports. A state of emergency was declared on Feb. 6, two days after the Pigeon Valley Fire began near the city of Nelson. As of Monday, the blaze was still scorchingthe island’s arid countryside, but as firefighting conditions improved, around 3,000 evacuated residents were allowed to return home. …Fire chiefs have warned that the flames could continue until March. The bushfire follows a heatwave that saw some areas of New Zealand sweating out 90°F days last month. The New Zealand Drought Index reports “extremely dry” conditions in the Nelson area, which has reportedly been parched since November 2018. MINSK – The World Bank is satisfied with progress in implementing the project designed to develop Belarus’ forestry industry. The relevant statement was made by World Bank Country Manager for Belarus Alex Kremer. …After reviewing progress in implementing the project in March 2018 the World Bank Board of Directors decided in favor of allocating an additional loan to the tune of €12 million. The money is expected to upscale individual components the initial project envisages. The main goals of the project to develop Belarus’ forestry industry is to improve the effectiveness of forest breeding, forest restoration, forest planting, and improve the usage of logging residue. The damage to Tasmania’s forestry industry remains unknown as fires continue to burn in remote parts of the state, several weeks after they started. Hundreds of fire hotspots remained on Monday afternoon, although cooler weather has reduced the threat to lives and homes. …”Of significant concern to the industry is the impact of bushfire damage to the Southwood forestry hub in the Huon Valley, where the Ta Ann and Neville Smith Forest Products mills operate and employ dozens of Tasmanians.” Almost 500 personnel – including 175 interstate and New Zealand firefighters – remain on the ground and in the air, working to extinguish a series of fires. …Seven homes and a near-century-old trapper’s hut have been destroyed in a series of blazes across Tasmania since December. The massive sea of trees known as the Elliot State Forest, between Coos Bay and Reedsport, might be getting a new owner. “When you think of a post card or a map, you think of a forest,” says Anthony S. Davis, Oregon State University’s Interim Dean. Davis is talking about none other than the Oregon terrain. He knows better than most the value of science from our forests. “We have to understand, what are the range of potential future changes in how our forests will grow,” Davis says. He’s talking about climate change. One of the many topics experts research here at the McDonald-Dunn Research Forest near OSU. “Manipulating the forest and seeing how it develops over time,” Director of OSU’s research forests Stephen Fitzgerald says. 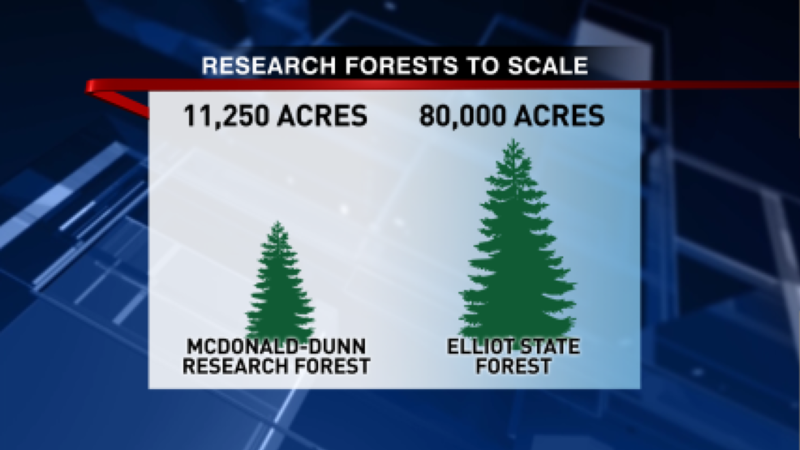 “The longer a study goes, the more information you get.” That’s why OSU is looking to manage the Elliot State Forest after the state gave the University the green light last December. 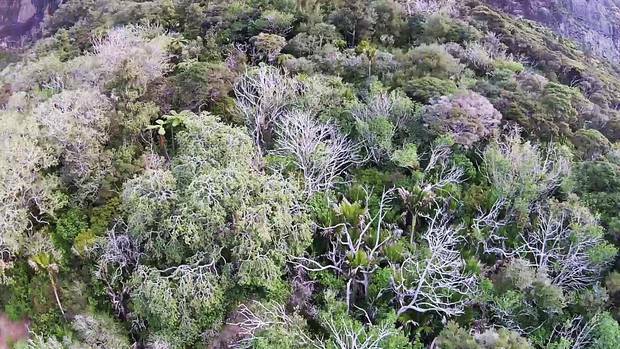 Before the first humans and later waves of pests arrived on our shores, New Zealand’s forests could have been described as a three-dimensional jungle. Think of thick undergrowth teeming with reptiles, kiwi and weta. Or a night-and-day cacophony of the rustlings, calls, booms, whistles and hoots of nearly 200 native bird species. Even in 1769, those aboard Cook’s visiting HMS Endeavour were greeted by a chorus said to be almost deafening. New Zealand would never be that way again. Roughly a third of our native bird species have vanished since that day, as have many other endemic plant and invertebrates. What remains is in a sorry state: 1000 animal, plant and fungi species are now considered threatened. The rats, mice, possums and stoats that infest our wilderness are responsible for the slaughter of some 26 million native birds every year.